HOLLYWOOD —Jimmy Webb is the only artist ever to receive Grammys for music, lyrics and orchestration. “Up, Up and Away” earned Jimmy his first Grammy in 1967. The following year, Jimmy earned a Grammy for “MacArthur Park” performed by Richard Harris. Donna Summer’s 1978 disco version of “MacArthur Park” went to #1 on the pop charts. Jimmy received another Grammy in 1985 for “Highwayman” performed by country heavyweights Waylon Jennings, Willie Nelson, Johnny Cash, and Kris Kristofferson. Webb’s songs grace a multitude of major artists’ albums, including Tony Bennett, Glen Campbell, Barbra Streisand, Reba McEntire, Linda Ronstadt, Diana Ross and Thelma Houston. He is a member of the National Academy of Popular Music Songwriters Hall of Fame and the Nashville Songwriters Hall of Fame. Webb’s “By the Time I Get To Phoenix” and “Up, Up and Away are two of the most performed songs in the last 50 years. As a performer, Webb continues to draw sold out audiences in major cabaret venues, nationally and internationally. 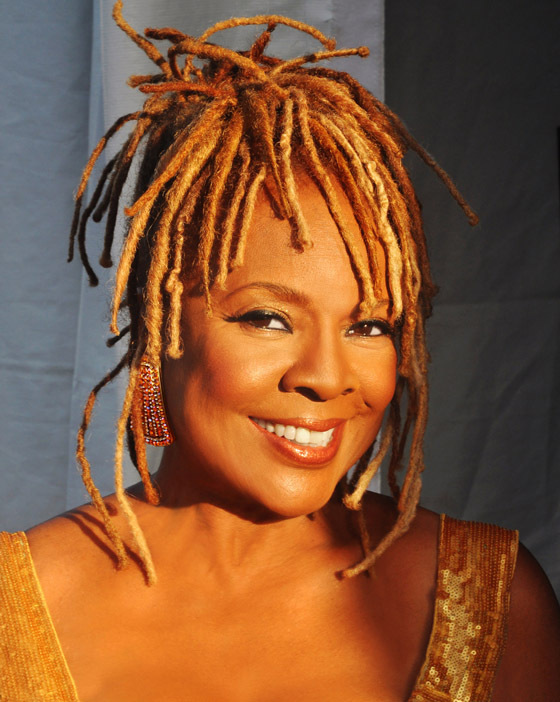 Thelma Houston’s first solo album “Sunshower” was written, arranged and produced by Jimmy Webb. The critical acclaim of this album led to her contract with Motown records. Thelma claimed the top of the Pop, R&B and Dance charts in 1977 with her high-powered rendition of “Don’t Leave Me This Way.” That classic gave Houston the distinction of being the first solo female artist at Motown to win the Grammy award for Best R&B Female Vocal Performance. In 2009, Thelma headlined at the official inauguration dinner for President Barack Obama. She also appeared on “American Idol,” “America’s Got Talent,” and here in Los Angeles, at the Hollywood Bowl. Friends of Levitt Pavilion MacArthur Park is a nonprofit organization that presents 50 concerts every summer at the Levitt Pavilion, featuring a diverse lineup of artists from acclaimed, emerging talent to seasoned, award-winning performers. All concerts are FREE admission, making live music and the arts accessible to all. Since 2007, Friends of Levitt has presented 130 concerts with over 85,000 in attendance. The tide has turned in MacArthur Park. As music has filled the park, so have families, friends and Angelenos from all over the city, creating community through music. WHAT/WHO: Two extraordinary careers, one unforgettable evening. Legendary songwriter Jimmy Webb and celebrated R&B singer Thelma Houston will perform together for the first time in 40 years. Jimmy Webb is the writer of “MacArthur Park” — the famous song inspired by the park in Los Angeles, where a Levitt Pavilion is now located. Proceeds from the event will support the free summer concert series at Levitt Pavilion MacArthur Park. Houston’s first album “Sunshower” was written, arranged and produced by Webb. Together, Webb and Houston will perform songs from this critically-acclaimed album. Webb will also perform his classic hits which have become a permanent part of the American music landscape. The Grammy Museum Sound Stage is on the corner of Olympic Boulevard and Figueroa Street in downtown Los Angeles on the campus of LA Live.